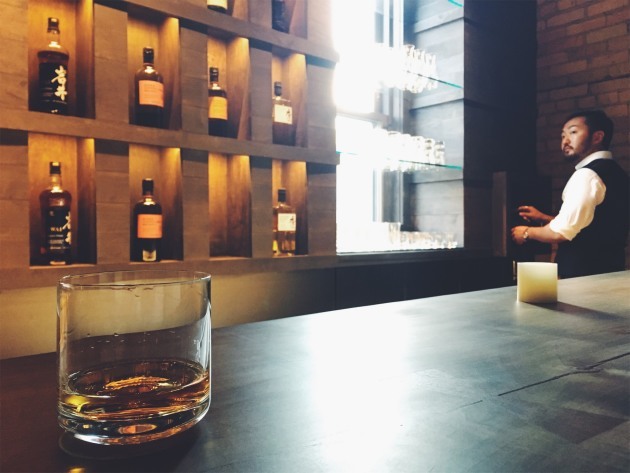 A new “hidden” whiskey bar featuring rare selections is now open in the building that houses Japanese restaurants Kado No Mise and Kaiseki Furukawa. Gori Gori Peku (GGP for short), as owners John Gross and Shigeyuki Furukawa call it, is tucked into a corner on the second floor at 33 N. 1st. Av. (the former Origami location) in the North Loop. Right now, the bar doesn’t have a sign of its own, but it can be accessed through Kado No Mise’ main entrance, and by asking to go upstairs. Chef Furukawa, who ran Origami’s kitchen for several years, opened Kado No Mise – a casual-upscale Japanese restaurant serving sushi and other Edomae-style specialties – with business partner Gross in May of this year. The second phase of their business, Kaiseki Furukawa, a restaurant featuring many courses of traditional Japanese dishes, debuted in August. 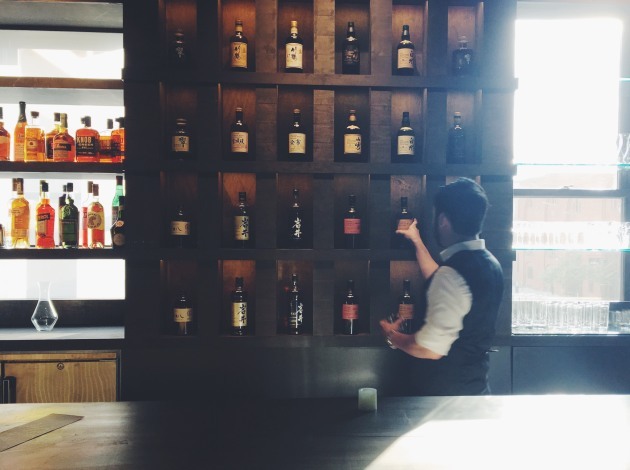 Now, the team has added the third piece across the hallway from Kaiseki Furukawa: a tiny, dark space accented by a lit wall of Japanese whiskeys, including some scarce bottles and at least one variety – the Hakushu 18 year – that they believe to be the only in the state. 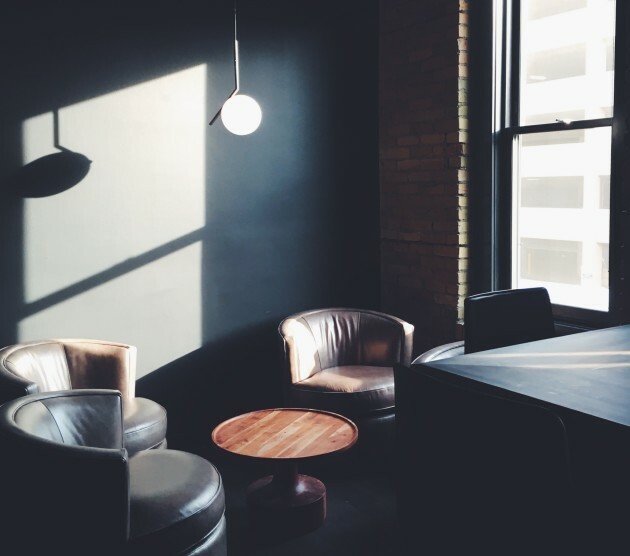 A small selection of American whiskey and other spirits are also available in the nook that features an eight-seat bar and a modest leather-infused lounge area. 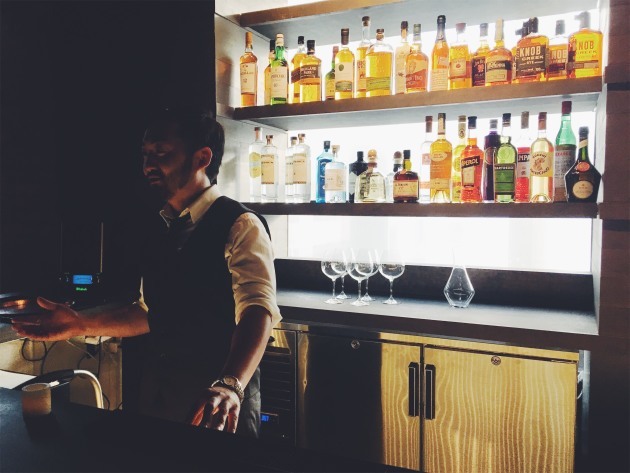 For now, the whiskey bar – like Kaiseki Furukawa – is only open on Friday and Saturday evenings from 5 p.m. until midnight. Eventually, Gross and Furukawa plan to extend the hours of both.